Niseko is surrounded by the best ski resorts in Japan, probably the winter activity you came here for. Just out of our door is the Niseko Village resort, part of the Niseko United collection. We run daily guest shuttles to these resorts and at the end of the day you can ski and ride directly back to the lodge. Just 30-minutes down the road is Rusutsu, famous for it’s tree skiing and pillow lines. And for those looking to really chase the powder a 1-2 hour drive in almost any direction will take you to other renowned Hokkaido resorts such as Kirroro, Tiene, Kokusai and more. Our front desk staff will be happy to help with suggestions on the best powder. If you would like to escape the crowds of the ski resort or just simply want to earn your powder turns our friends at Hokkaido Backcountry Club offer tours daily into the backcountry surrounding Niseko. Their trips range from lift assisted touring options to full days in the backcountry. Their guides know all the little powder secrets of Hokkaido. Cat Skiing or Heli Skiing with Hokkaido Backcountry Club makes a great addition to any Japan powder trip. From single day trips a few minutes from the lodge to a multi-day cultural experience, cat skiing in the sleepy fishing town of Shimamaki these trips will provide you with a true Japanese powder experience. Need a rest day but still want to get outside and enjoy the snow, or go explore the backcountry and see the mountains in a whole new way? 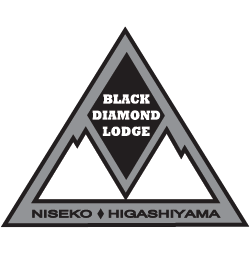 We offer snowmobile tours daily through Hokkaido Backcountry Club. Looking for a change of pace, or maybe the whole family needs a break from skiing. Snowshoeing is a great activity around Niseko and lets you enjoy the outdoors and take in the views of Hokkaido at a slower pace. Tours are provided for all ability levels. Otaru is only a 1.5 hour drive by car or 2 hour train ride from Niseko. Whether or not you combine this trip with a stop at the nearby resort of Kiroro it is always worth visiting. Located steps from the ocean there is an abundance of fresh fish, sushi, and Izakaya restaurants as well as a locals favorite, the Nikka Whisky Distillery. No trip to Otaru would be complete without visiting the shops and museums at the historic canal district. If you are visiting in February don’t miss the opportunity to visit the annual light festival, a celebration where the streets are filled with tea lights and snow sculptures. Sapporo is touted as one the snowiest major cities in the world, being only 2 hours by car or 3 by train from Niseko makes this claim no surprise. In the capitol city of Hokkaido you will find an abundance of restaurants, shopping, bars, and night life. Our favorite reason to visit Sapporo is for the annual Sapporo Snow Festival when the downtown is over taken by 100’s of snow sculptures ranging up to 15 meters tall. No trip to Sapporo is complete though without visiting the Sapporo Beer Museum and Biergarten. At this historic site you can learn about Sapporo beer, the history of beer in Japan, and of course sample tasty libations.